Cole Clarke is the opposite of an introvert. Hell, he's the lead singer and guitarist of Sunday Told A Secret, a band that makes Maroon 5 look like child's play. He's the band's "bad boy," only accepting the title because "loner" and "player" are already claimed by his bandmates, Gunner and Avis. 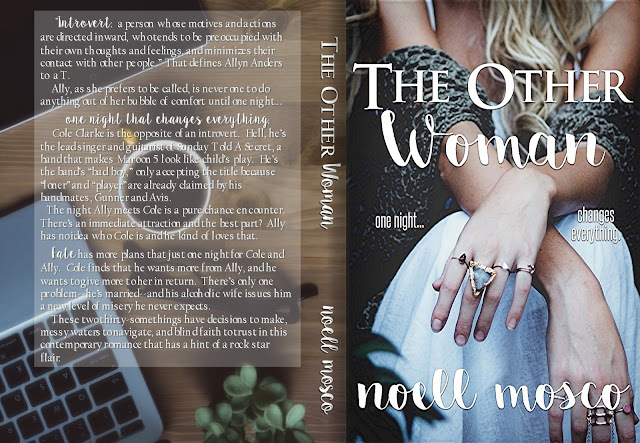 The night Ally meets Cole is a pure chance encounter. There's an immediate attraction and the best part? Ally has no idea who Cole is and he kind of loves that. Fate has more plans that just one night for Cole and Ally. Cole finds that he wants more from Ally, and he wants to give more to her in return. There's only one problem -- he's married -- and his alcoholic wife issues him a new level of misery he never expects. These two thirty-somethings have spicy chemistry that's impossible to resist, decisions to make, messy waters to navigate, and blind faith to trust in this contemporary romance that a hint of rock star flair.